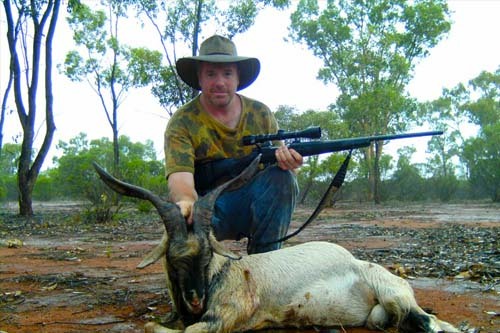 Click here to browse our Australian Goat Hunting Properties. 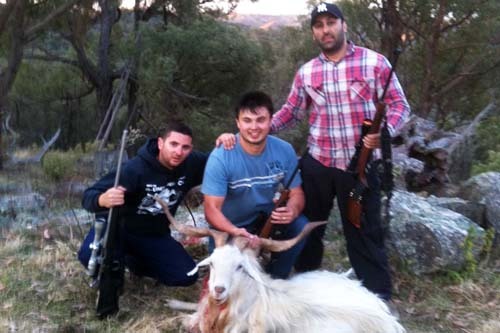 Looking to have an exciting and amazing goat hunting holiday in Australia? Of course you are! then you need to plan well ahead of time. Part of your goat hunting recon is making a thorough plan and to fully research of all the equipment and the things you need to do to make your next trip a successful hunt. When shooting goats, the selection of the right firearm and choosing the correct cartridge is essential. As an ethical hunter, you must be mindful that the cartridge you choose is powerful enough for a quick and clean single kill shot. The .22-250 Remington is the minimum suggested rifle cartridge for hunting feral goats at a range of around 100m. With experience, you will develop your own preference. 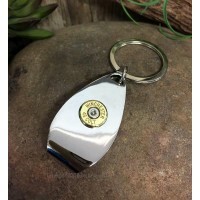 It is always better to be overpowered or over-gunned than of an inadequate caliber cartridge. 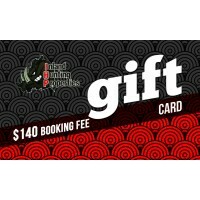 Bows are also a popular consideration when you want to go goat hunting in Australia. The bows differ in weight and you really need to take your time to understand and choose the best bow weight that will give you comfort and safety while ensuring a single quick kill placement while hunting goats. Apart from the correct choice of bow, arrow selection is also essential. It needs to complement the bow that it will use. If you will choose a compound bow, the best arrow that complements this bow is a carbon arrow. Where to go for the Best Goat Hunting? When you are looking to hunt goats, the best stalking spots are best suited to dry places. Goats are not suited to the wet soil since they may get foot rot. You can also search for those goats in places where low rainfall and good drainage can be expected. The perfect time to hunt for goats in Australia is during their breeding season, which is usually in the month of April. In this time, the males will challenge each other in terms of the supremacy in breeding. As the saying goes, this is the time for the silly season. Once you’ve spotted a goat, you need to stalk it by moving slowly - hiding to some degree if possible in any bush cover you may find. A breeze can sometimes help hide the noise that comes from your feet and movement. Your hunting approach will have to be slow and will have to be at the lowest position to give you a low profile. Your adrenaline will be up and pumping – so resist the temptation to make a rushed shot. Always remember when stalking feral goats, a perfect distance for you to have a good and perfect shot is under 100m. What Kind of Goats to Shoot? The big and old billies of the goat breed are considered an excellent trophy for goat hunting in Australia. But, they are not really that good for eating purposes. Young billy goats are perfect for your campfire pot. Even better still, the best goats to shoot for eating are the young nannies that are up to three years old. Goats are not to be indiscriminately shot and just left. Take only what you need and can eat. You're a hunter, not a shooter. Not only are they worth a lot of money to property owners, but this leaves them for future sustainable hunting to be enjoyed for everyone. 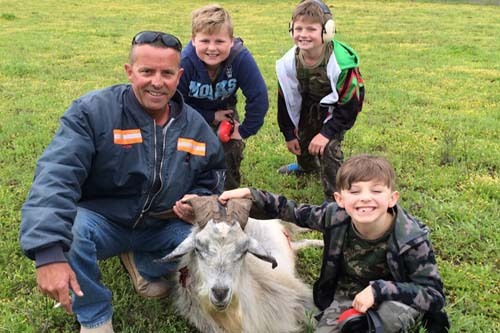 These are just some of the things you need to consider when you want to experience an amazing and exciting goat hunt. 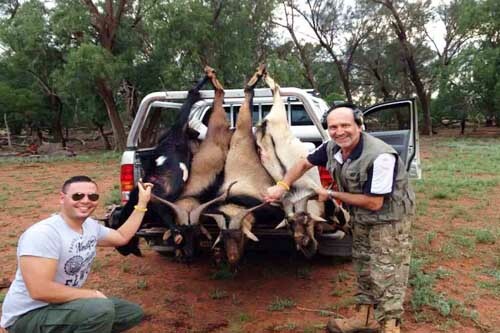 If you want to know more about goat hunting in Australia, or if you have something to add to this article – send through your information and contact Kerrie here. 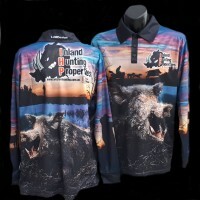 When you’re ready to book and go goat hunting, get in touch with Inland Hunting Properties on (02) 6559 9888.